Welcome to Waterbeach Theatre Company. We put on two plays, a pantomime and a short drama festival entry each year, and have won many awards. Why not become a Friend (it's free! ), and receive a regular newsletter and other benefits. Alternatively, why not consider joining the group - we're always delighted to welcome new members! Welcome to Waterbeach Theatre Company. We put on two plays, a pantomime and a short drama festival entry each year, and have won many awards. Why not become a Friend (it's free! ), and receive a regular newsletter and other benefits. Alternatively, why not consider joining the group - we always welcome new members! 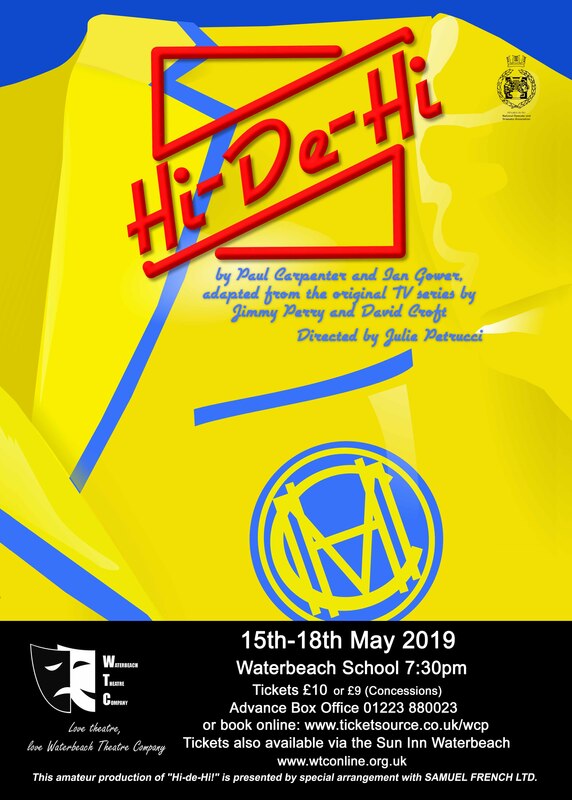 Our 2019 Spring Production is ever-popular Hi-de-Hi!, with all the much loved characters such as Gladys Pugh, Jeffrey Fairbrother, Peggy Ollerenshaw and Ted Bovis, and of course a bumper bundle of Yellowcoats to cheer things along. Hi-de-Hi, campers! "In spite of everything, I still believe that people are really good at heart"
Our Autumn production is The Diary of Anne Frank. Open Auditions will be held on Monday 3rd June. It's the start of a new season and founder Joe Maplin announces that he is setting up a camp in the Bahamas and needs female Yellowcoats to go and work there. The annual "Miss Yellowcoat" competition will decide who. Imagine the rivalry! Camp cleaner Peggy (Vicky Hingley), meanwhile, is thrilled at the prospect of a vacancy for a new Yellowcoat and convinces Entertainment Manager Jeffrey (Simon Colston) that she is the ideal candidate for the job - much against the wishes of head Yellowcoat, Gladys Pugh (Clare McDonald). Ted (Chris Shinn) is forced to employ numerous money-making schemes when his ex-wife Hilary (Caroline Blair) turns up at the camp with a bailiff in tow and Yvonne (Christine Easterfield) and Barry Stuart-Hargreaves (Phil Law) send the rumour mill into its usual overdrive when Gladys is overheard escorting Jeffrey into his chalet late one evening. The cast also includes James Windle as Spike, Michael Williamson as the Punch & Judy man, Martin George as Fred, James Dowson as Mr Pritchard and John Meredith as The Bailiff, with Emma Foltynie, Jane Boden, Grace Harper, Penelope Clay and Marilyn Dew as the Yellowcoats. Hi-de-Hi, Campers! An impassioned drama about the lives of eight people hiding from the Nazis in a concealed storage attic, the play captures the claustrophobic realities of their daily existence. 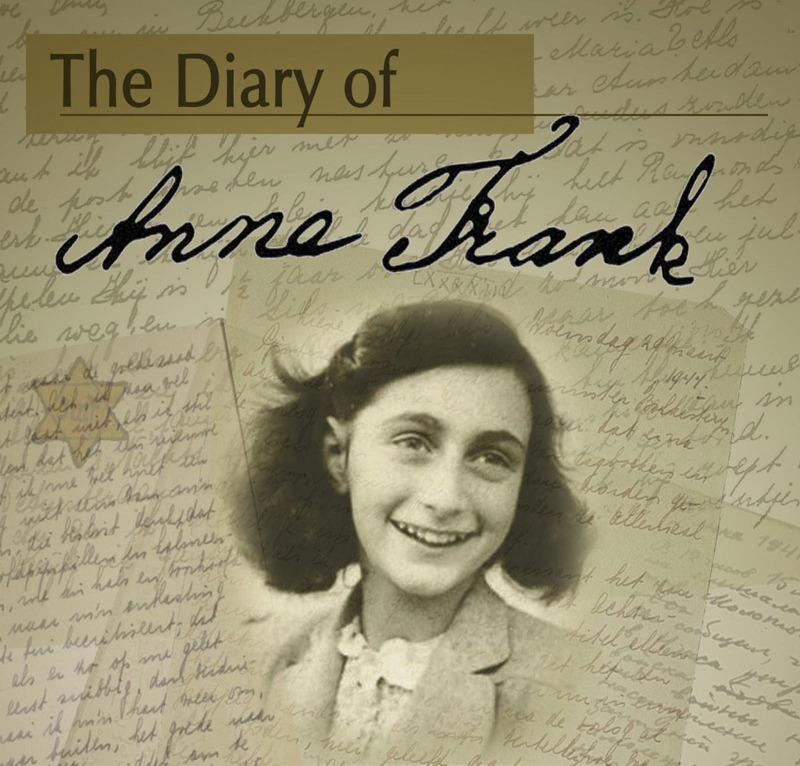 In this powerful adaptation, Anne Frank emerges from history a living, intensely gifted young girl, who confronts her rapidly changing life and the increasing horror of her time with honesty, wit and determination. Open Auditions will be held on Monday 3rd June at 7:30pm at Waterbeach School Hall. For more information please contact Chris at chrisjshinn@btinternet.com. 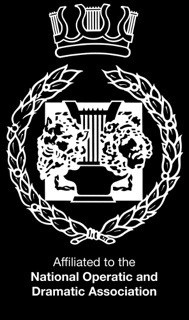 WTC is a member of the National Operatic and Dramatic Association (NODA) www.noda.org.uk.